There are several different unlock requirements for each of the characters in Risk of Rain 2, and the Huntress is no exception. To unlock this character, players will need to reach and complete the third teleporter event without dying. It's not necessarily easy, but there is one simple trick that can help players unlock the Huntress character quickly. Unlike other characters like the Mercenary, the requirement to unlock the Huntress in Risk of Rain 2 is very straightforward: Reach and complete the third teleporter event without being killed. As players become more familiar with the game, they'll almost certainly become more adept at avoiding damage and death. As such, it's entirely possible that they may inadvertently unlock the Huntress during normal gameplay. For everyone else, there's one simple solution that will help unlock the Huntress quickly: Turn down the difficulty. 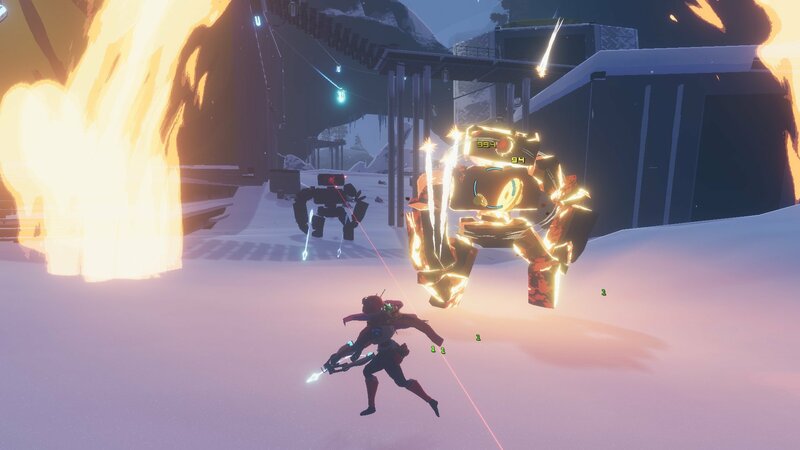 Risk of Rain 2 puts no difficulty requirement on the Huntress unlock, so the easiest way to earn the character is to turn the difficulty down and play very carefully. If you can make it past the third teleporter event—which in the current Early Access build is the ice level—without dying, the Warrior achievement will pop, and the Huntress character will unlock. Just be sure not to go through a portal, as progressing through anything other than the third teleporter may prevent the Huntress from unlocking properly. That's all there is to it: Make it through three levels without being killed and push through the final teleporter to unlock the Huntress character in Risk of Rain 2. It's not a particularly difficult task, but any players having trouble completing the unlock requirement can simply turn down the difficulty. To stay fresh on other guides for the latest Hopoo Games release, be sure to check out Shacknews' Risk of Rain 2 home page.